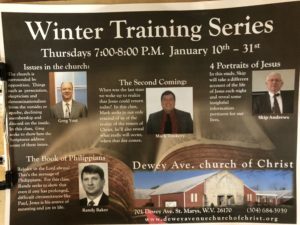 Thank you for supporting our 2019 Winter Training series! Listen online or download each lesson to listen at your convenience! Lord willing we hope to see you all next year! Week 3 What About Revelation?